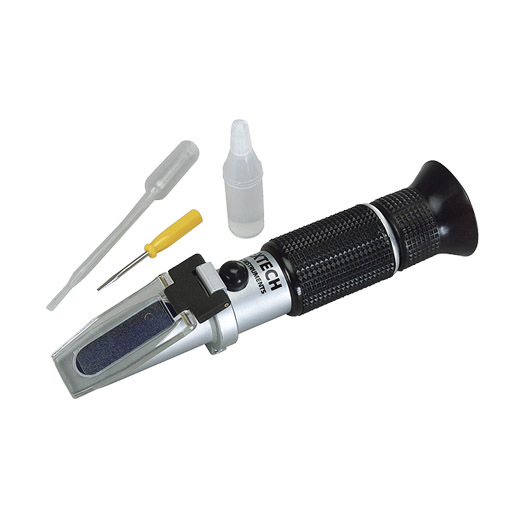 Refractometer measures the Propylene/Ethylene Glycol freezing point from -50 to 0°C and the Specific Gravity of battery acid from 1.11 to 1.30 and provides a quick reference of battery charge condition. Requires only 2 or 3 drops of solution for fast and accurate readings. Automatic Temperature Compensation provides repeatable measurements on an easy to read scale. Prism and lens with a simple focus adjustment. Includes carrying case and calibration screwdriver.